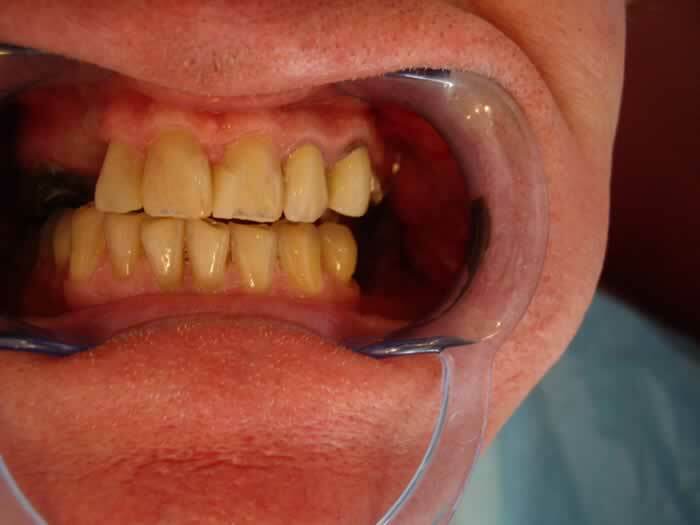 This patient had many missing teeth and was wearing denture for years. He had difficulties with eating with the denture so decided to get a permanently fixed bridge. 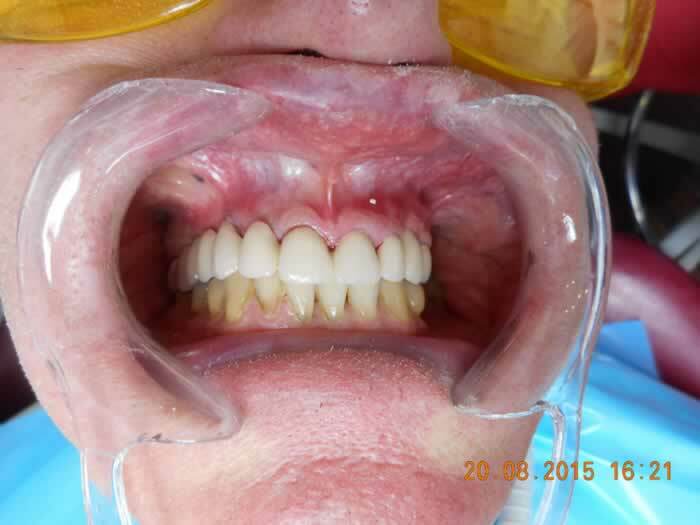 In order to achieve that we had to place in 4 implants to replace the missing teeth. 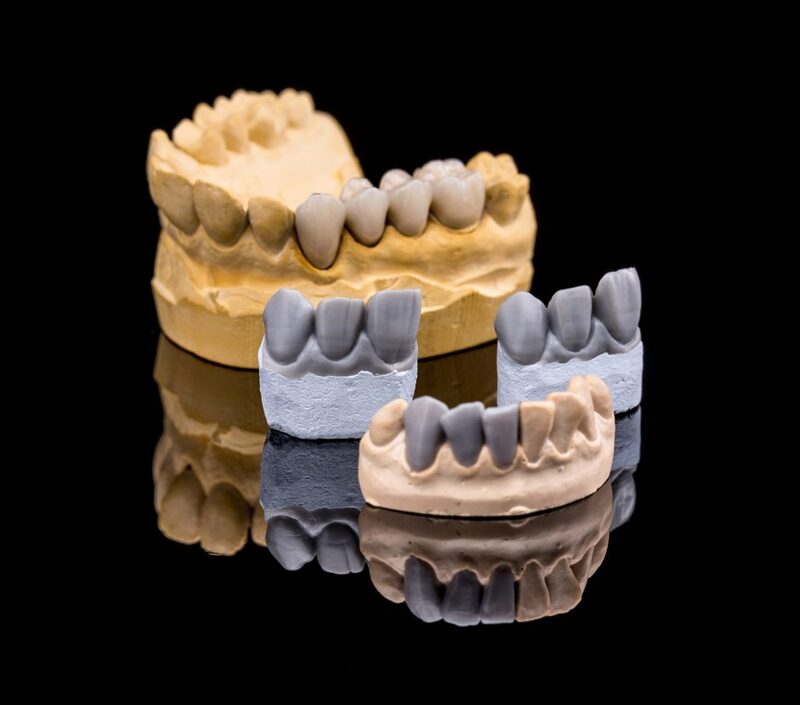 He received a full upper porcelain fused to metal bridge. It gave him back to ability to chew properly and also improved the appearance of his teeth. The treatment was done in staged over a year.